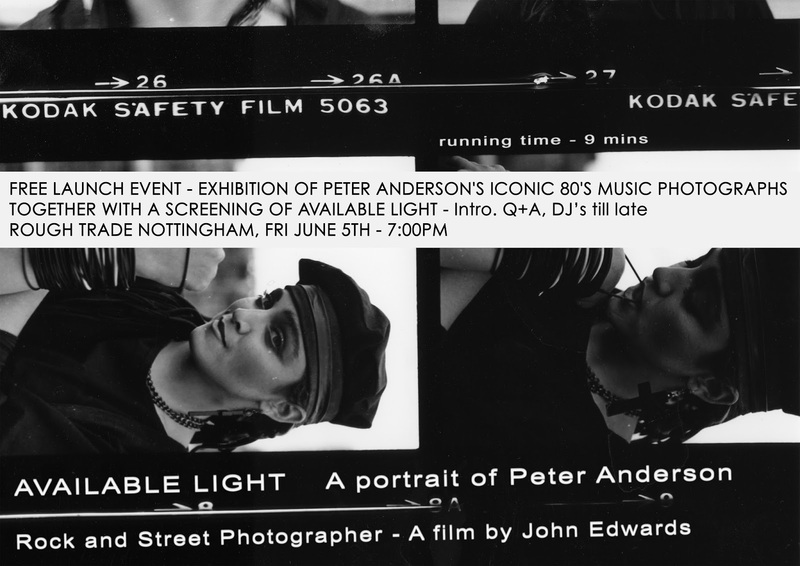 AVAILABLE LIGHT - LAUNCH NIGHT - Fri Jun 5th at Rough Trade Nottingham. Peter Anderson will be on hand to answer questions at the launch of an exhibition of his iconic 80's rock photographs. John Edwards, director of Available Light, our film that portraits Peter Anderson, will be there to introduce Peter and the film. Great beer at Rough Trade, and great DJ's till late. We are really looking forward to a great night.